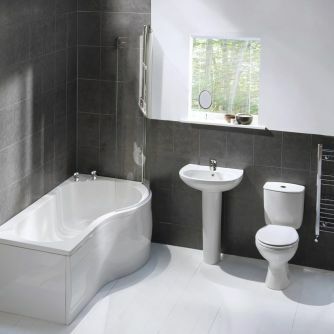 Many of the Bathroom Suites that are available to the UK market allow for a separate shower unit or the shower curtain option. Some Freestanding Baths do not work with a Shower Screen. This is why showrooms often sell the Suites equipped with a Shower Door or Screen as a separate package. The Shower Doors come in a variety of styles, including, P-Shaped, L-Shaped, Fixed and Hinged. The shape of the Grisedale Showerbath Suite allows the practicality of a large showering area, combined with the comfort of an ergonomically designed bathing space. 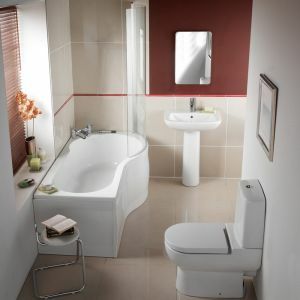 Denver is the original 'pick and mix' bathroom, with a choice of round or square basins, full or semi-pedestal options and a double-ended 'jellybean' bath in two sizes to fit most styles of modern bathroom. The Plaza Right Hand Shower Bath Suite is a right or left handed L-shaped shower bath combined with the a WC, Basin with Pedestal. 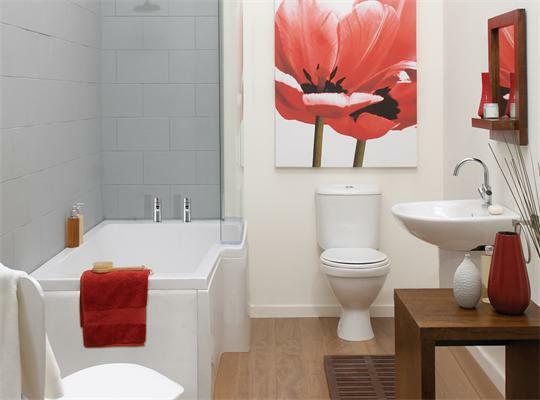 The square shaped bath is a fashionable square bathroom design. However, the angular shape of the screen will mean a quality seal will be needed. The modern design of the Milano Drake Shower Bath Suite features push button cistern, 5mm screen and tap holes drilled wherever you want, but the real benefit is that it is an example of quality design at reasonable prices.